One of the first Richmond Xander sons to sell, JBV Focus is our highest performing 2012 bull, and is out of a great Nobel Prize dam that has produced a son working in the Treftz Limousin herd at Wetonka, South Dakota, and high selling daughter at the 2012 Iowa Beef Expo. 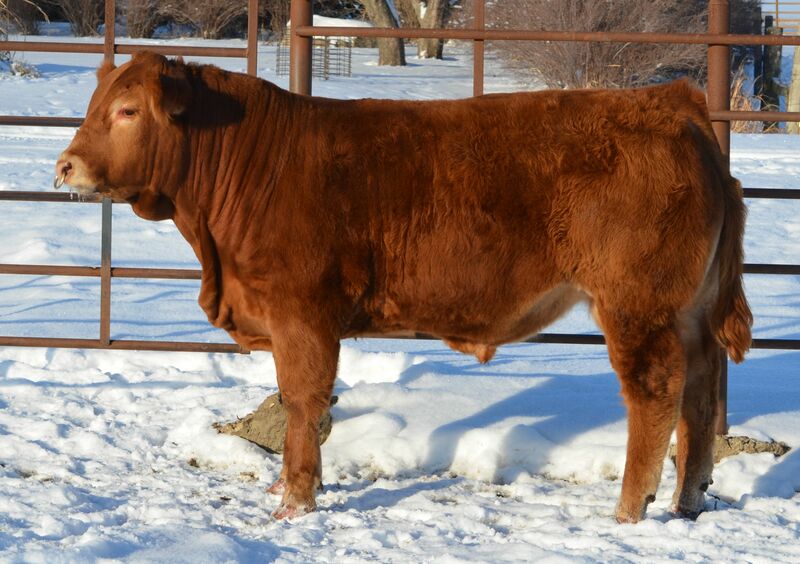 He is an extra wide bodied, heavy muscled herd sire prospect that offers Limousin power, pedigree and predictability all rolled up in a homozygous polled package. If you need a bull that will add both muscle and pounds, focus on this guy.